It was a great time with the family, and a nice way to work on one of my 2013 resolutions, get outside more. It’s going to be a great year! 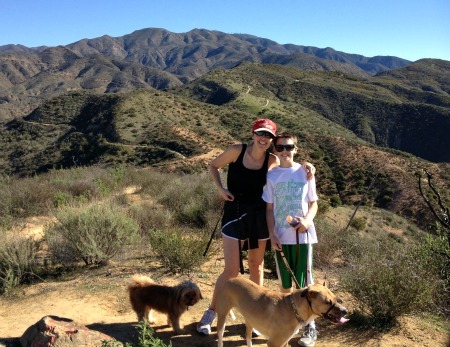 Posted in Wordless Wednesday and tagged green, hiking, Modjeska canyon, Orange County, resolutions, trails. Bookmark the permalink. Posted in Ecofessions and tagged confessions, ecofessions, green, guilt, Orange County, plastic bag, shopping, video, vlog. Bookmark the permalink. 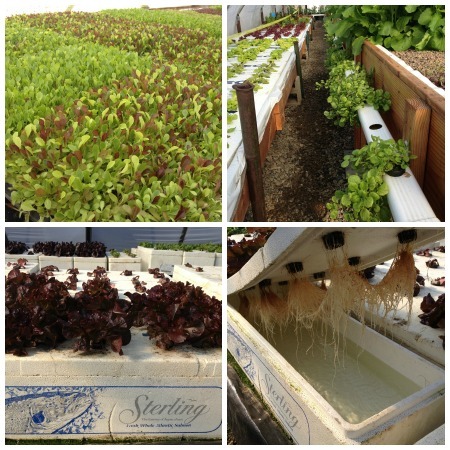 I had the opportunity to tour Future Foods Farms in Brea this week. I met Chef Adam and heard all about the sustainable aquaponic farming techniques he has pioneered. I could not be more impressed. This is truly the future of farming. Lots of details coming in my March OC Metro article, but thought I’d share some of the pictures I took of their beautiful greens in the meantime. Cheers to healthy eating and the people who make it possible! Posted in Farmers Markets, Food and Recipes, See and Do in OC, Wordless Wednesday and tagged aquaponic, farming, Future Food Farms, green, Orange County, sustainable. Bookmark the permalink. It’s Meatless Monday again and if you haven’t tried it yet, make 2013 the year you give meatless a chance. I’m a big fan of Meatless Monday. It’s a simple, easy thing that you can do to make a difference. The health and environmental benefits of going meatless (even in small amounts) are many, for both your own health and the planet. It saves money too – a bag of quinoa costs a lot less than a steak. It doesn’t have to be complicated, you don’t need special recipes or hard-to-find ingredients. It can be as simple as picking up a meatless protein source, combining it with some vegetables and grain you already have on-hand, heating it all up, and serving it to the family. If you need ideas for meatless protein sources, check out this awesome, informative article “7 Proteins for Meatless Mondays (and How to Use Them)”. 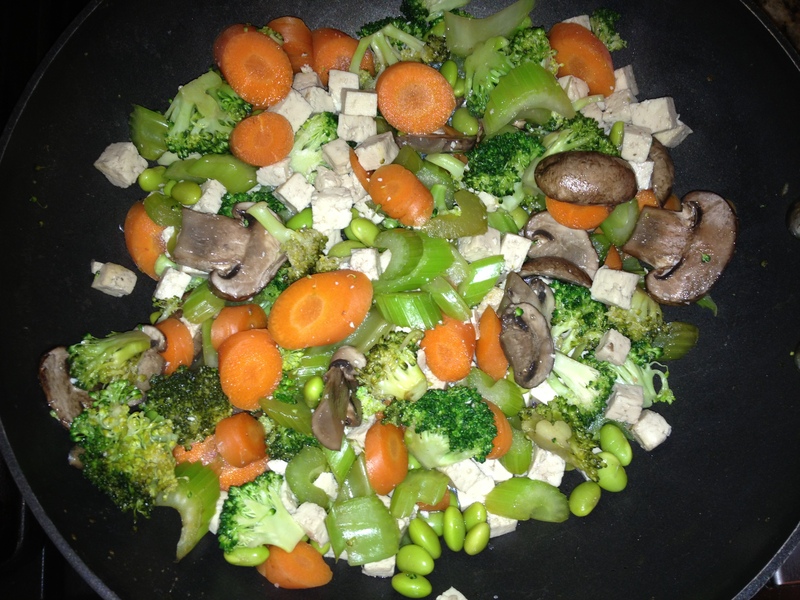 One of my go-to meals for Meatless Monday is tofu-veggie stir fry. It’s easy, inexpensive, and my kids love it. Then, I clean out my vegetable drawer. Basically, I take all the produce that’s just about ready to turn, and cut it up into small pieces and toss it in. I usually add some organic GMO-free edamame (easily found for a great price at Costco) – for additional protein and because my kids love it. Then, just heat up some sesame oil in the wok, toss the whole mix in, and season. I like to use a little rice vinegar, a healthy dose of Bragg liquid aminos and a little bit of sea salt. Heat in the wok for about ten minutes and it’s done. You can throw this mix on top of rice, noodles, or just eat it as is. So there is one idea for a simple, affordable Meatless Monday dinner. For more meatless dinner recipe ideas, check out my Meatless Monday Board on Pinterest or the recipe page of the MeatlessMonday.com site. Do you have some good Meatless Monday recipes? I’d love it if you would share the link in the comments below. Posted in Food and Recipes and tagged meatless monday, organic, recipes, stir fry, tofu. Bookmark the permalink. From our recent mountain vacation. Feels far away from life here in Orange County, but it’s just a short drive to Lake Arrowhead. Miss it already. Hopefully we will be back soon. 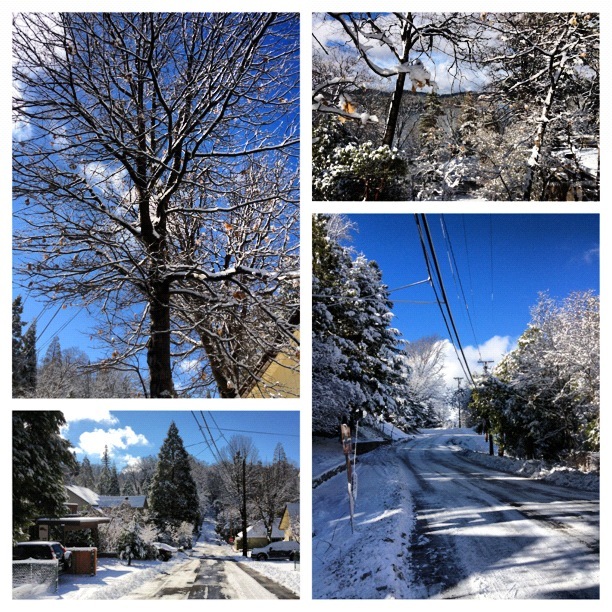 Posted in Wordless Wednesday and tagged Lake Arrowhead, mountains, snow, vacation, winter. Bookmark the permalink.